End your home search right here in sought after Olivenhain! Entertainer's paradise awaits in the expansive, private back yard with a newly rebuilt pool, pool house with full bath, large patio with built in BBQ. High end finishes and features abound as you enter the home - hardwood and travertine floors, custom cabinetry throughout, WOLF stove and convection oven, 3 fireplaces, remodeled baths including luxurious master bath with heater floors. Walking distance to blue ribbon schools. Welcome Home!, At the heart of the home is a large kitchen with meal prep island open to the family room with custom built in cabinets and impressive fireplace surround and mantel. The entire home has been meticulously maintained and is ready for the most discerning buyer! Upper level windows have been replaced in 2017, Pella windows and sliding glass door downstairs were replaced in 2006. Private tropical backyard features hardscape patio and multiple stackstone walls...perfect for entertaining. Swimming pool is plumbed for solar heat. Poolhouse includes bathroom with separate changing room and double shower. No HOA or Mello Roos! 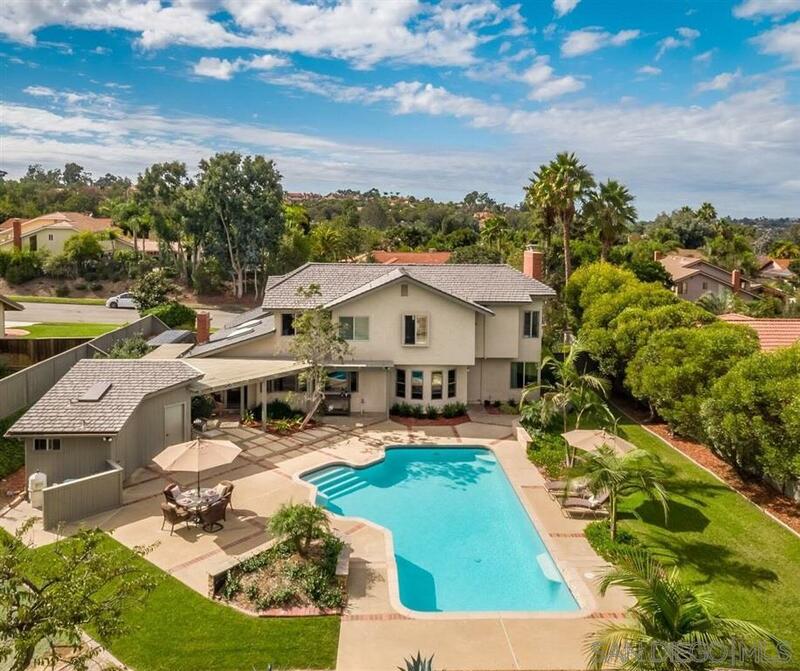 Great family neighborhood walking distance to blue ribbon schools and less than 2 miles from world-class beaches and Downtown Encinitas with its trendy shops, restaurants and entertainment.